A monster performance in a critical showdown allowed Bryant Dunston of Olympiacos Piraeus to earn the playoffs Game 3 bwin MVP honors after leading the Reds to a 78-76 victory over Real Madrid. Bryant was equally brilliant and efficient with 21 points on 9-of-10 two-point shooting, 9 rebounds, 4 assists and 2 steals en route to a performance index rating of 32, the best of all players in playoffs Game 3. It was the second such weekly award for Dunston in his first Turkish Airlines Euroleague season after he won also in regular season Round 3. 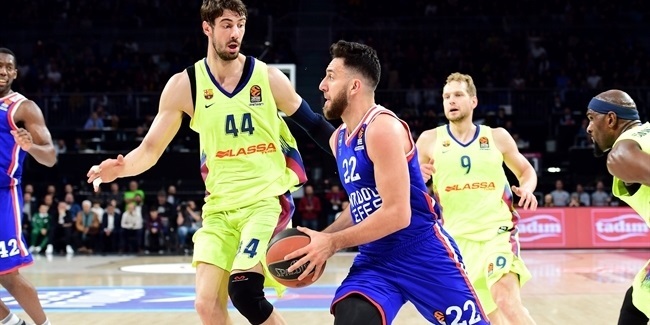 Following him was Zoran Erceg of Galatasaray Liv Hospital Istanbul, who had 19 points on 3-of-4 two-point shooting and made 10 of 10 free throw attempts in his team's last Euroleague game this season - a home loss against FC Barcelona. Erceg added 2 rebounds, 3 assists and a steal for an index rating of 23. Alex Tyus recorded a 21 index rating with 14 points, 8 rebounds and 2 blocks for Maccabi Electra Tel Aviv, which beat EA7 Emporio Armani Milan 75-63. 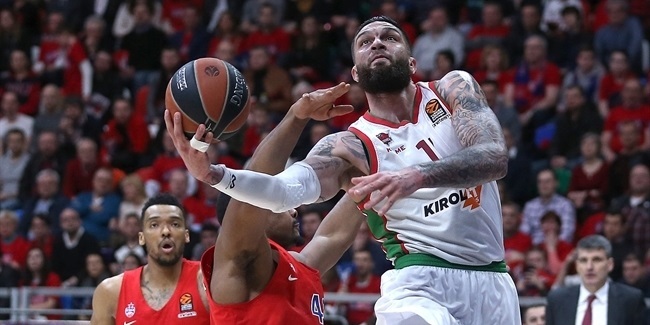 Wrapping up the round’s best performances were Ricky Hickman of Maccabi, Zack Wright of Panathinaikos Athens and Rudy Fernandez of Madrid, each with an index rating of 18. Individual leaders: Dimitris Diamantidis breaks assists record! Dunston and Carlos Arroyo of Galatasaray each scored 21 points in playoffs Game 3. Keith Langford of EA7 Milan remains the Euroleague's leading scorer with 17.1 points per game. Dunston grabbed 9 rebounds, more than anyone in this round. Viktor Khryapa of CSKA Moscow is the playoffs' rebound leader at 9 per night. Khryapa had 8 assists to lead all players in playoffs Game 3. Diamantidis remains the season-long assists leader with 6.3 per night. He also broke the all-time record this week by dishing his 978th assist. Theo Papaloukas is now second with 977 assists. Diamantidis had 3 steals in this round, more than anybody else. The 2013-14 Euroleague playoffs leaders in steals are Nikola Mirotic of Real Madrid and Jonas Maciulis of Panathinaikos, each with 2.3 per game. Joey Dorsey of Barcelona and Tyus each had 2 blocks, the best among all players in playoffs Game 3. 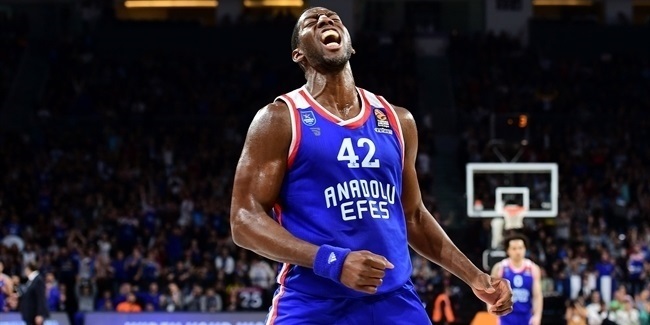 Bryant Dunston of Olympiacos leads the league with 1.33 blocks per game - Salah Mejri is second with 1.32.